There’s a good chance you’ve encountered an AGL advertisement at every bus stop you’ve passed by in the last few months, and have begun to wonder if it’s worth making the switch to the ‘big three’ energy provider. And while Red Energy may not have postering currently in its marketing mix, could a smaller, lesser-known energy retailer beat out the big kid in a battle of which energy provider is the most cost effective? Canstar Blue has taken the time to review the energy plans offered by each retailer, finding the cheapest product and pitting them against each other in order to find which retailer is providing Australian consumers with the best value. We’ll take a look at each provider’s plans in Victoria, NSW, QLD and SA, and delve into more than just cost-effectiveness. Before we get stuck in, let’s take a look at what each provider is offering, and do a quick cost comparison of the cheapest plans on offer from the retailers. Read on for further details about the products on offer. Here are the current cheapest published deals on our database for AGL and Red Energy across Victoria, NSW, South Australia and Queensland, with any conditional discounts factored in. Here are the cheapest published deals for Red Energy and AGL on our database for Victoria. These costs are based on a typical three-person household living on the Citipower network in Melbourne, but prices may vary depending on your circumstances. Use our comparison tool above for a specific comparison in your area. This table includes a featured product from a referral partner. Here are the cheapest published deals for Red Energy and AGL on our database for NSW. These costs are based on a typical three-person household living on the Ausgrid network in Sydney, but prices may vary depending on your circumstances. Use our comparison tool above for a specific comparison in your area. This table includes a featured product from a referral partner. Here are the cheapest published deals for Red Energy and AGL on our database for Queensland. These costs are based on a typical three-person household living on the Energex network in Brisbane, but prices may vary depending on your circumstances. Use our comparison tool above for a specific comparison in your area. This table includes a featured product from a referral partner. Here are the cheapest published deals for Red Energy and AGL on our database for South Australia. These costs are based on a typical three-person household living on the SA Power network in Adelaide, but prices may vary depending on your circumstances. Use our comparison tool above for a specific comparison in your area. This table includes a featured product from a referral partner. Red Energy is owned by renewable generation company Snowy Hydro, and operates across Victoria, New South Wales, Queensland and South Australia. Red Energy generally offers three electricity market offers in each area. You can expect to see variable rate plans, which mean its rates can go up and down at the provider’s own choice. What makes Red Energy stand out is its partnership with airline Qantas, whereby signing up to its dedicated Qantas plans, customers can receive Frequent Flyer points. The good news is that in South Australia and Queensland, Red’s Qantas Red Saver product actually works out to be the cheapest offering, tied with the Easy Saver plan. However, in Victoria and NSW, these plans are unlikely to bring in the smallest power bills, as the Living Energy Saver plan works out to be the cheapest. But customers on this plan will also receive access to Red Energy Rewards. Red Energy is consistently among the top electricity providers in each state as revealed in Canstar Blue’s annual customer satisfaction ratings, coming out on top in NSW for 2019 – the fifth year in a row. It also performs well in other areas. One of Australia’s oldest and best-known power companies, AGL is pretty much a household name. It offers a diverse range of energy plans across Victoria, NSW, Queensland and South Australia, including both variable and fixed rate deals. While AGL is known to change its plans quite regularly, it currently has three to four ‘main’ electricity products in each of these states. Speaking generally, most of its plans come with variable rates, and with fairly standard (sometimes generous) discounts. Though, its recently released ‘no discount’ plan, AGL Essentials, seems to work out cheaper than the provider’s other offerings. And unlike Red Energy, AGL’s loyalty program, AGL Rewards, is available to all customers regardless of the plan they choose. AGL is also partnered with flybuys, allowing customers to collect 1 point per $1 spent on energy. Those signing up online may also be eligible for 10,000 bonus points. In Canstar Blue’s customer satisfaction surveys, AGL has scored between three and four stars of five for overall satisfaction across the state. AGL Savers: This plan has variable rates and is on a 12 month contract, with a 30% discount off electricity usage charges for paying your bills on time. AGL Savers Home Connect: This plan is basically the same as AGL Savers, except it comes with a guaranteed discount of 16% for 24 months. You’ll also get a ‘free’ Amazon Echo. AGL Essentials: This plan has fixed rates for 12 months, with no conditional discounts or exit fees. There’s also an Essentials Plus product which will give you a $40 bill credit every six months for two years. Red Energy’s big selling point is its partnership with Qantas, with two of its three plans offering Frequent Flyer points. Living Energy Saver: This plan comes with a 10% pay on time discount off your whole bill, rather than just usage. On this plan customers will also receive access to a range of everyday discounts through Red Energy Rewards. The Living Energy Saver has variable rates and comes on a no term contract. Qantas Red Saver: This plan is similar to the above in that it has the same discount and base rates. It also has variable rates and no term contract. The main difference is that instead of Red Energy Rewards, customers earn Qantas Frequent Flyer points on sign up and as they pay bills regularly. You get 2 Qantas points for every $1 spent on energy. Qantas Red Plus: The Qantas Red Plus plan offers up 7 Qantas Frequent Flyer points per $1 spent on energy, but does not include the 10% pay on time discount available on the other plans. Customers can again expect no contract terms and variable rates. Canstar Blue has crunched the numbers to help you make an informed decision of what energy provider might give you the best value. These are the cheapest products from AGL and Red Energy, based on average energy usage figures for a three-person household on the Citipower network in Melbourne. For a more accurate quote in your suburb, head to our comparison tool above. *Costs based on average energy usage figures from AER for three-person household on the Citipower network in Melbourne, March 2019. In Victoria, AGL currently works out a little bit cheaper than Red Energy. It’s a small margin and ultimately comes down to low base rates rather than discounts. To see how AGL and Red Energy stack up against all of the other energy providers in the state, you can head to our Victoria Electricity Cost Comparison report. AGL Savers: This plan offers a discount slightly lower than what’s seen in Victoria, coming in with a 23% pay on time discount off usage. It comes with flexible billing options, has a 12-month benefit period and is a variable rate product. AGL Savers Home Connect: This plan is the same as the one above, but instead comes with a slightly lower 14% guaranteed discount for two years. You’ll also get an Amazon Home Echo smart device as part of the deal. AGL Essentials: This plan has locked in usage and supply rates, with no conditional discount or exit fees. There’s also ‘AGL Essentials Plus’, which gives you a total $160 bill credit over two years you’re on the plan. Red Energy’s plans in NSW are the same as what you find in Victoria, with its electricity plans in Sydney and surrounds being the Living Energy Saver, Qantas Red Saver and Qantas Red Plus. Living Energy Saver: This plan gives customers a 10% pay on time discount which applies to the whole bill. This plan comes on an open term contract with variable rates. Customers will also get access to Red Energy Rewards, a loyalty program offering up discounts on everything from groceries to experiences. Qantas Red Saver: This product is pretty much identical to the Living Energy Saver, but instead of getting access to Red Energy Rewards, customers will receive 10,000 Qantas Frequent Flyer points for signing up to the plan, then 2 points for every dollar spent on their power bills when paying on time. Qantas Red Plus: This plan is the same as the one above, except it doesn’t come with any discount. The upside is that it instead offers a generous 7 Frequent Flyer Points per dollar spent on electricity or gas bills. To find out which electricity retailer is cheapest in NSW, we’ve compared each provider’s cheapest plan, in this case, AGL Essentials Plus and Red Energy’s Living Energy Saver. AGL isn’t offering a discount on its plan whereas Red Energy is. Does, in this case, the bigger discount deliver the better value? Let’s find out. *Costs based on average energy usage figures from AER for three-person household on the Ausgrid network in Sydney, March 2019. In this case, AGL’s no discount Essentials Plus plan works out slightly cheaper than Red Energy’s discounted Living Energy Saver plan. To see how AGL and Red Energy compare to other providers in Sydney, head to our NSW cost comparison report. AGL’s plans don’t look much different in QLD than in other states, bar the changes in discount amounts. South-east Queensland customers also have access to AGL Rewards just for being signed up to one of the provider’s plans. AGL Savers: Coming with a 24% pay on time discount, this plan offers flexible billing options. It is a variable rate product with a 12-month benefit period. AGL Savers Home Connect: This plan is the same as the AGL Savers, but instead of a pay on time discount, comes with a lower 16% guaranteed discount off usage charges. Customers on this plan will also receive an Amazon Echo. AGL Essentials: This is AGL’s no discount product, coming with locked in usage and supply rates. The ‘Plus’ version of this product also carries a $40 bill credit every six months over two years. This plan has no exit fees. Easy Saver: This plan offers a 10% discount off of your entire electricity bill for paying on time. It has no contract term or exit fees. Unlike in NSW and Victoria, QLD customers won’t receive access to Red Energy Rewards, even though the product is comparable to the Living Energy Saver. Qantas Red Saver: With this plan, customers get the same 10% discount and rates as the Easy Saver. However, you’ll also get bonus Qantas Frequent Flyer points on sign up, as well as 2 points per $1 spent on your electricity or gas bill. Qantas Red Plus: Mirroring the plan above, this plan gives the same rates as the Red Saver, but without the 10% pay on time discount. Instead, you’ll receive 7 Qantas Frequent Flyer points per dollar spend on your bill rather than two. AGL has been around in Queensland for a while, but how does it stack up against newcomer Red Energy? AGL’s cheapest plan doesn’t come with a discount, while Red Energy’s does. So, which is cheaper? *Costs based on average energy usage figures from AER for three-person household on the Energex network in Brisbane, March 2019. In Queensland, there’s quite a big leap between AGL and Red Energy’s cheapest plans, and AGL’s 0% discount plan comes out on top. It is, however, worth mentioning that Red Energy’s Qantas Red Saver plan carries the same price as the Easy Saver, with the added benefit of the Frequent Flyer points. Check out our Queensland cost comparison report for more details. AGL Savers: This plan comes with a discount of 13% off usage charges for paying bills on time. It’s a variable rate product with a 12-month benefit period, and no exit fees. The billing options are flexible, and you’ll receive the option of a double up discount for also joining up for gas with AGL. AGL Savers Home Connect: This plan is similar to AGL Savers in that it carries the same rates, but with a smaller 7% guaranteed energy discount on a two-year benefit period. With this plan you’ll also receive a free Amazon Echo on sign up. AGL Essentials: This AGL plan is slightly different, offering locked usage and supply rates with no conditional discount at all. This plan is also seen as AGL Essentials Plus, which gives you a bill credit every six months over two years. Customers can expect no exit fees. In South Australia, customers looking to sign up to Red Energy will see the Easy Saver, Qantas Red Saver and Qantas Red Plus plans. Easy Saver: Red Energy is offering a 10% pay on time discount off your entire bill on this no contract term, variable rate plan. Qantas Red Saver: Like with the Easy Saver, customers can expect a whole bill 10% pay on time discount. On top of that, customers will earn Qantas Frequent Flyer points when they sign up, and continue to as they pay their bill. 2 points are awarded for every $1 spent on energy. Qantas Red Plus: This plan doesn’t come with any conditional discount, but customers will earn 7 Qantas Frequent Flyer points per dollar spent on energy. The product has the same base rates as the Easy Saver and Qantas Red Saver plans available in SA. Again, in looking for the cheapest retailer in SA, we’ve stacked up the cheapest plans offered by AGL and Red Energy to see who comes out on top. The AGL Essentials Plus plan comes with no discount, so will it beat out Red Energy’s Easy Saver product that has a 10% discount? *Costs based on average energy usage figures from AER for three-person household on the SA Power network in Adelaide, March 2019. In this case, we see that again, the AGL Essentials Plus plan comes in cheaper than the Red Energy Easy Saver, if only by a small margin. To compare these two retailers to other offerings in Adelaide and other SA suburbs, see out latest cost comparison report. When comparing Red Energy and AGL, it’s of course important to first consider how cost effective signing up to their cheapest available plans will be. Strictly speaking, AGL comes out on top in every state, if even by a small margin, making it’s Essentials Plus product seemingly the obvious price-savvy choice. However, the estimated bill cost isn’t the only thing to take into account. Value can come in the form of rewards and other plan benefits, plus there is huge value to be had from good customer service and support when you need it. As mentioned above, Red Energy has been one of the standout performers in our customer satisfaction ratings over the years, especially in NSW. For jetsetters, Red Energy’s Qantas partnered plans could deliver excellent overall value, if the Frequent Flyer points accumulated are actually regularly used that is. If you tend to spend more time in the shops than in the air, however, AGL’s partnership with flybuys could deliver superior value for you. There’s always going to be many factors to consider when choosing your energy provider, but if you were stuck between AGL and Red Energy, we hope this review has been able to help you make a choice. Keep in mind that there are other offers available no matter what state you’re in, and you can see how these plans stack up against others in the market via the link below. NSW: Costs based on annual usage calculations using statistics from AER for a three person household on the Ausgrid electricity network in Sydney, March 2019. For more information on annual cost calculations please click here. SA: Costs based on annual usage calculations using statistics from AER for a three person household on the SA Power electricity network in Adelaide, March 2019. For more information on annual cost calculations please click here. 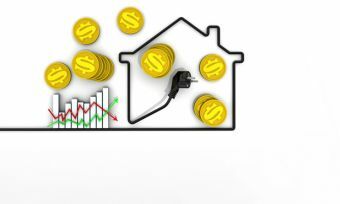 QLD: Costs based on annual usage calculations using statistics from AER for a three person household on the Energex electricity network in Brisbane, March 2019. For more information on annual cost calculations please click here.